I divide learning into two types, based on the differences in the kind of retention we want students to have: automatic and thoughtful. Politicized educational theorists (both academic and homeschooling) often push us towards one or the other, regardless of the topic under study, but I see a critical role for both in the classroom. I think of automatic learning as the subjects that require mastery and automaticity: as in the joke about how do you get to Carnegie Hall, there is only one answer: practice, practice, practice. When I took the PADI Scuba Diving course in college, the drill drove me crazy. We did the same moves, over and over. And then over and over again. I dove occasionally for the next 25 years, without much deliberate practice of the skills, when one afternoon, my regulator failed eighty feet below the surface. I did not have a single conscious thought about it -- my left hand swept out without being told, scooped up my spare regulator, shoved it in my mouth, and pushed the button to clear the water out. The emergency -- and it could have killed me -- was over before I had the chance to think about it, before my diving partners even noticed I was in trouble. All that drill came back to me, and my hands moved automatically, without conscious direction. Automatic learning applies to anything you need to know that has to be perfect. Times tables, addition facts, musical instruments -- any subject where repetition will help you master it. Teachers deride "drill and kill" exercises for being boring, but practice is the only way to succeed at something like math facts or music (and the only way to stay alive in scuba diving). The problem starts when teachers use the same method of drilling facts for the thoughtful learning subjects. When history becomes dates, science memorized diagrams, literature the terms to describe an author's moves, and writing diagramming sentences hour after hour, the students never have a chance to really understand. I ask myself, do my children need to know this particular fact or skill in ten or twenty years? If the answer is yes (and they don't already know it), then it needs to go in the automatic learning category, and needs to be practiced (which usually involves nagging). In contrast, we can never master the thoughtful learning subjects of history, literature, science, advanced mathematics, or writing. What we can do is consume and produce it over and over in different forms, until we have knowledge approaching that of an expert, until we have truly mastered the vocabulary of the subject. You don't get those vocabulary words from flashcards, but rather from reading them, listening to them, speaking them, writing them. There is no set list of things you need to know for these subjects, despite what the purveyors of AP exam preparation courses would want you to believe. The automatic subjects are those where you learn the best and the fastest by doing the same thing over and over again; the thoughtful subjects are those where you learn the best by doing similar things over and over again, by reading different versions of a history, for example, or writing another paper. These are the subjects where you learn best by over-reading and retaining the gist of the idea. In science or history, for example, it is far easier to learn ten textbook pages' worth of material by reading an entire book on the topic, rather than the ten dense pages in a textbook. The textbook may be helpful, but it will work better after students have some familiarity with the subject. All the "chapter previewing" in the world won't help you understand a chapter on World War II as well as developing a basic understanding (and interest) through family stories, novels, and films, followed by a general-audience history book, and then (and only then) an analytical account such as you might find in a history textbook. Success in academics comes from hard work. American and European children in particular are at risk to be cursed by a label that stays with them throughout their educations. Whether that label is "smart" or "stupid," it's a terrible liability. Children labeled "stupid" give up and never try to learn; what's the point? We understand that pretty well, and try not to use the "stupid" label, but "smart" can be equally destructive. Why should a "smart" child study? He shouldn't need to. "Smart" children fear that if they do have to work at a class, maybe they're not really smart, and they don't want to lose that lovely epithet by admitting that maybe they need a bit of extra help, or maybe they do need to work, or maybe they do need to study in order to pass. When I was growing up, my father told me his secret to being a great student in college: he studied on the weekends when everyone else was away, so that he could waltz through the week without any apparent effort. Most of the time, what we refer to as talent is actually practice. Daniel Willingham in Why Don't Students Like School? cites an article in Psychological Review where researchers surveyed professional musicians, music academy students labeled "best" and "good," and those students studying to become music teachers. The difference? Both the professionals and the students labeled "best" had put in 11,000 hours of self-reported practice before the age of twenty. The "goods" came in at just under 9000 hours, and the future music teachers at slightly over 6000. Do you remember that child at school with you with a phenomenal talent at drawing? What did she do all day? What did her note-books look like? She drew. Every recess, she sketched, every lecture, she doodled. She practiced. What about the best musician? He played for hours after school, performed in concerts at the weekend, and tapped his fingers idly on the desk when he was supposed to be doing his math exercises. The soccer player, the swimmer, the writer, the math whiz. Almost without exception, the children at the top of the game at the end of middle school are the ones who put in the hours. A friend's son is known as a math whiz. People think he's gifted, but he's not. He loves it. He loves it so much that he asked his mother to find him a tutor over the summer. He's possibly the only person ever to carry a calculus textbook on a backpacking trip with him. He loves the puzzle, and I suspect he also loves impressing people with his precociousness. But he's not precocious; he works hard. Americans, like other Westerners, view intelligence as a fixed attribute, like eye color. If you win the genetic lottery, you're smart; but if you lose, you're not. . . . The destructive cycle is obvious: students want to get good grades so that they look smart, but they can't study to do so because that marks them as dumb. In China, Japan, and other Eastern countries, intelligence is more often viewed as malleable. If students fail a test or don't understand a concept, it's not that they're stupid -- they just haven't worked hard enough yet. This attribution is helpful to students because it tells them that intelligence is under their control. He goes on to note that, "children do differ in intelligence, but intelligence can be changed through sustained hard work," but as a teacher and a parent, you can forget about the native intelligence -- it's too late to engineer their DNA -- and concentrate on the hard work side of it. An ethic of hard work will take your children further than "self-esteem," the popular buzz-word of 90s and 00s classrooms. Perhaps too, it can provide an alternate model to the "Tiger Mother" stereotype for the widespread academic success of Asian American students. Families and communities who value education and hard work help their children on the road to intelligence. Our job as homeschool teachers -- and it's not always a comfortable fit with our job as parents -- is to push the children to acquire knowledge when they don't necessarily see the point of it. Schools today complain about "helicopter" parents who hover over their children, trying to influence every decision the children make and controlling every aspect of their lives. I'd rather be an "outboard motor" parent: push, push, push, but ultimately give them freedom of their destination. When you're teaching, try to take off the parent hat that sees the mere existence of your children as a praise-worthy miracle. Instead, save your praise for their efforts and their truly exceptional work (which doubtless will come after a lot of hard work on their part.) Save your praise for when it is deserved. This can be tricky for the parent as teacher. We're used to applauding the slightest achievement of our children -- everything they do seems quite amazing when we remember when they didn't quite have the dexterity to pick up a piece of food and stick it into their mouths. I catch myself saying "good" to Anna as she works through her spelling, when what I actually mean is, "correct." Spelling something correctly shouldn't be praised -- it's not "good," it's the standard. What should be praised is the hard work she puts in to master the spelling words. In his analysis of successful teaching techniques, Teach Like a Champion, Doug Lemov writes, "Champion teachers make a careful and intentional distinction between praise and acknowledgment, acknowledging when expectations have been met and praising when the exceptional has been achieved." Educational psychologist Carol Dweck's experiments with school children have shown that even one short episode of misguided praising can have a noticeable result on exam scores. Students who are praised for their effort try harder and do better on subsequent tests than those who are praised for their intelligence. In another study, the students who were given a mere two extra twenty-five minute lessons that intelligence can be improved had a marked improvement on their math scores. Another phrase that you may hear is growth mindset, coined by Carol Dweck in her book Mindset. This is another way of saying what Willingham and others have stated -- academic success comes from hard work, with the added idea that one's attitude sharply affects what one is able to learn. It's not the power of positive thinking, it's not saying that self-esteem is what matters in education; instead, Dweck writes: "A remarkable thing I've learned from my research is that in the growth mindset, you don't always need confidence . . . . [E]ven when you think you're not good at something, you can still plunge into it wholeheartedly and stick to it." Her research into even very young children has shown that if they have a fixed mindset they eschew challenges in favor of easy successes, whereas growth mindset children seek out challenges. Reading her book gave me a new way of looking at my academic successes -- my parents had managed to instill in me the idea that I could do anything if I worked hard at it. (This was long before Dweck and Willingham). In the first grade, I was desperate to catch up in math with the three girls whom I hero-worshiped. I did math during snack time, I did math during school bus rides, I did math at home. I caught up. All through school (both academics and sports), I had this attitude: if I wasn't successful it was because I hadn't worked hard enough at it yet. I am far from being a complete growth mindset sort of person -- I hate doing things badly, and there are times when I don't do things I would enjoy simply because I'll look bad doing them, but I do fundamentally believe that if I practice most things I can do it. Well, maybe not singing. People tell me I could, but I definitely don't have a growth mindset about singing. Dweck makes it sound easy to turn children's mindsets around (and her examples about a few short comments before a task to change the nature of mindset do make it seem simple), but it isn't always so easy in practice. I have one daughter who is the poster child for growth mindset. She loves a challenge, she loves working hard, she doesn't mind being bad at things. I have another daughter who finds it harder going. We have certainly tried to instill a growth mindset in her (even before we knew the term), but it hasn't been the on/off switch that Dweck describes. Dweck recounts interviewing college students, evaluating them for whether they were fixed mindset or growth mindset and then watching them through their college careers. The growth mindset students were far from immune to setbacks -- depression, breakups, bad grades -- but their reaction was completely different. When they failed or were miserable, they worked harder. When the fixed mindset students met the same obstacles, they switched off, preferring to make no effort so they could blame that lack of effort rather than themselves. I was introduced to Dweck's work through an online course in teaching mathematics by Stanford professor Jo Boaler. Boaler finds particular relevance to mindset in mathematics, because so many people (students, teachers, and parents) have a fixed mindset about math, even if they don't have it in other subjects or parts of their lives. How many times have you heard someone say (or said yourself), "I'm just not good at math." Boaler's argument is that there is no such thing as "good at math," and she insists that anyone can master high school math. It may take some students longer than others, but as Boaler points out, quick does not equal good. Fixed mindset, and by extension, stereotypes, are so pervasive in mathematics that in one of her studies, merely checking a box for male or female at the top of a math test makes female students do worse than when there is no such box. People learn at different rates. Some people seem to catch on to things in quick bursts of intuition; others grunt and grind their way toward comprehension. Quicker isn't necessarily smarter, and slower definitely isn't dumber. Further, catching on quickly isn't the same as understanding thoroughly. So the pace of learning is a question of style, not relative intelligence. The tortoise may very well end up with more knowledge -- more useful, lasting knowledge -- than the hare. Realizing this will help you stay in the growth mindset. In a school setting, the children who work more slowly are labeled as slow, often tracked into remedial classes, and never have the chance to catch up. Homeschoolers have a huge advantage in that the children can work at their correct level, without condemnation from their peers, and they can work at different "grade" levels in different subjects. This isn't a plug for "work at their pace" child-centered learning. I think most children do need to be pushed to acquire a solid education, but the pace can be matched to their needs in a homeschool program. Instead of never finishing the math book, year after year, which causes the student to fall further and further behind, we finish the math book when we finish the math book. It has nothing to do with the school calendar. One school year simply rolls into the next. We never finish a math curriculum before September, we often don't finish my goals for history (but since it's chronological history, it simply continues into the next year), and other subjects may have dividing points at different times of the year. I might drop several subjects if we're traveling, or slim down if we're having a hard push in one subject area, or the weather is unusually fine. A chapter in Why Don't Students Like School? discusses how the brain thinks. As Daniel Willingham explains it, we have a working memory and a long-term memory: the working memory does all the processing of information, the actual thinking, whereas the long-term memory holds the facts. He contends that our working memory capacities are pretty fixed -- there's no way to increase the RAM on this computer, but what we can change is the amount of information in the long-term memory. For example, if you have a math problem to solve -- say 368 times 4 -- if you have all the multiplication tables firmly in your long-term memory, it's an easy problem, and you can probably do it in your head. If you don't know your multiplication tables absolutely, you'll have to pause and take up valuable space in your working brain to work out, say, what's four times six, well, three times six is eighteen, so eighteen plus six, is . . . um . . . twenty-four. That math problem is going to be a lot easier for a child who knows his times tables than one who doesn't. It's not innate math ability; it's the amount of facts in the long-term memory. This isn't to say that some children don't start off a little better at math or a little better at reading. Helen seems to spell without effort, she struggled with elementary school math. Anna, nineteen months younger, has caught up to Helen in math, yet she is several years behind in spelling. There was probably an initial difference between them -- and certainly Anna's particular learning disabilities are going to mean she has a tough time with spelling -- but when I watched them at work in fifth and sixth grades, Anna flipped open the math page with enthusiasm and went straight to work, whereas Helen illustrated each word problem with great care, and every page without word problems was decorated with stylized dogs. If seventy-five percent of Helen's math time was spent gazing off into space or practicing her artwork, her artwork improved, and her math did not. That initial spark has turned into a real difference between them in math, but I believe very little of it is innate. Interestingly, in late middle school, Helen stopped illustrating her math book and began using that sketching ability to clarify the problems, and what had been an impediment to her learning transformed into an asset. The relationship between facts in long-term memory and proficiency in working memory manipulations is fairly clear in mathematics -- in fact, you can buy 250-flashcard sets just to drill those basic facts. But what about other subjects? Brain and education research appears to show that the amount of facts in the long-term memory (in effect, memorized facts, although we don't learn them well through the same process of rote memorization that works with math facts) is extremely important in other subjects. In order to read adult-level texts, you need to have a large body of cultural and historical knowledge that will be presumed by the author. This is going to have slight regional variations of course, but the core will be very similar for all writers in English. But you can't order up a pack of 250,000-flash card facts for science, history, and literature, and drill them in to your memory. This is the content you learn in school, slowly, with multiple repetitions, and you must think about it multiple times in order to shift that knowledge into your long-term memory, so that it is available when you need it. This is what makes higher level literacy and thinking possible, not simply the decoding of words that you learn in first and second grade. Content in school is not a question of filler material to be manipulated as one develops skills. In order to be an educated adult, your children need to have this background knowledge, and a efficient school will focus on the acquisition of this knowledge, not by drilling the facts, but by reading, writing, and thinking about them. These are the thoughtful learning subjects I described earlier. A slow acquisition of this background knowledge, in context -- not cramming for tests -- will help your students retain this information forever. It takes time and multiple repetitions to learn things properly. There's a reason why college students don't know as much as their professors -- numerous scholars have pointed out that even students who have studied a subject thoroughly and done well on examinations, often fail to have an "expert" understanding of the subject matter when the subject is presented in new context. Educational researchers often present this as a failure of education, but it seems to me to be more of a natural condition of learning abstract material. It might only take one repetition for a child to learn that the woodstove is hot, but truly understanding why the summer is hot will take diagrams, explanations, and multiple exposures over the years. Howard Gardner blames this lack of understanding on pervasive childhood misconceptions, but I think it is more likely simply that the students have not covered the topics enough times, and perhaps when children did ask the question in early childhood, they received the wrong answer, or no answer at all. As George Nelson says in "Science Literacy for All in the 21st Century:"
In a classroom where science literacy is the goal, teaching should take its time. . . . [A]ny topic in science, mathematics, or technology that is taught in only a single lesson or unit is unlikely to leave a trace by the end of schooling. An experiment tested people fifty years after their last algebra exam, and the most important factor in their retention of math was how many years of math they'd done after algebra. It was better to get a C in algebra and keep studying math for four years than to get an A in algebra and stop there. The same can be said for history and literature. A perfect performance on a Friday date test or "prove you read it" questions do not translate into long-term retention or understanding that lets students (or the adults they become) transfer those ideas into other contexts. There may be one way to enhance working memory -- there is some evidence that early music instruction helps improve intelligence. A recent article in Scientific Americanreports: "Practicing a musical instrument appears to improve attention, working memory and self-control." The children have to actually play an instrument, rather than simply listening to it. The Oak Meadow homeschool program emphasizes the importance of music by including a recorder and recorder lessons in their packaged program (or of course, you could simply buy them separately). Since I have the musical knowledge of gravel, it was easier to wait until the children were older and could be more self-directed. We bought Helen an electronic piano keyboard for her twelfth birthday, and she taught herself from a downloadable digital program. She did a year on her own, before waylaying a woman playing at a small-town carnival and asking for lessons. Since then, she has continued to take lessons whenever we can find a teacher, and that has made a big difference. Friends who teach using the Waldorf system were scornful of the electronic keyboard because it is a digital instrument, rather than a real one, but digital instruments are generally much less expensive and don't need the maintenance of "real" instruments, plus students can practice with headphones. A boat or an apartment is a very small space, and it can feel even smaller on a rainy day with someone endlessly practicing scales. We met one boat where a child was learning to play the trumpet, which could be heard all across the anchorage -- he has more tolerant parents than Helen and Anna do. My husband taught himself how to play the guitar entirely by using the Justin Guitar program of videos and books, and that could work very well for a motivated older child. An electric guitar makes a surprisingly good instrument in a small space. Unamplified or with headphones, it's quite unobtrusive, quieter than an acoustic, and is less prone to changing shape with varying humidity levels. In addition, the same money will buy a better quality electric guitar than an acoustic, making it a good choice for beginners. I don't discuss the study of music further in the subject area portion of this book, in part because I don't feel it is mandatory, in part because there are far better music teachers out there than I am, but it does seem to be able to improve intelligence, and of course it is a pleasure in its own right. What about all these Intelligences? Willingham writes, "The different abilities . . . are not interchangeable. Mathematical concepts have to be learned mathematically, and skill in music won't help. Writing a poem about a golf club will not help your swing." Howard Gardner writes explicitly that Multiple Intelligence theory is not another way of describing "learning styles." Instead, he describes the individual intelligences as a description of a type of "computational capacities." Different individuals have a different blends of these intelligences, but rather than saying these intelligences represent how someone should be taught, he writes: "nearly every cultural role of any degree of sophistication requires a combination of intelligences." In the prototype MI classroom, Project Spectrum, Gardner notes that the year-end report on each child describes the child's personal profile of strengths and weaknesses and offers specific recommendations about what might be done at home, in school, or in the wider community to build on strengths as well as bolster areas of relative weakness. In other words, the differing intelligences are not seen as ways to teach children, but raw material to work with, and it is as important to shore up weaknesses as to teach to strengths. In this book, I emphasize strengthening of the two classical areas of academics, what Gardner would call logical-mathematical and linguistic intelligences. 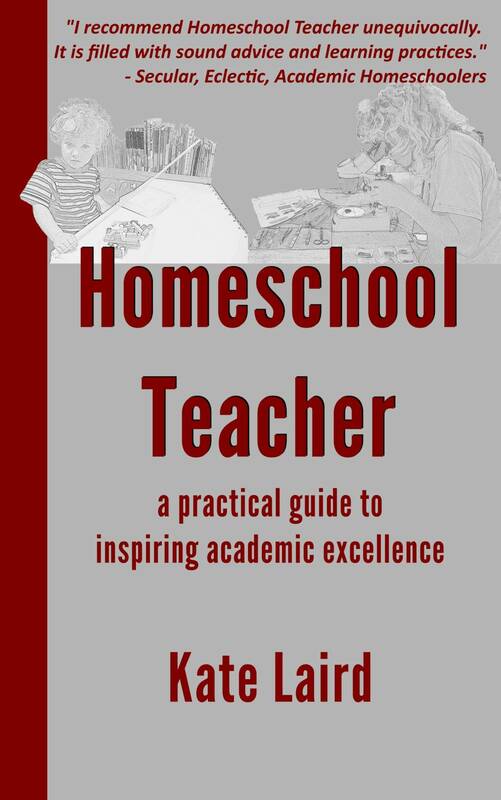 In a homeschooling situation, with its individualized classroom that Gardner calls for in The Unschooled Mind and elsewhere, other intelligences can easily be emphasized, brought into the classroom, and unschooled outside it. Both Gardner and Alfred Binet (who developed the first IQ test in Paris in 1900) posit their work with an ideal of helping children learn. Binet's idea was to identify children who needed extra help to reach academic success -- with the assumption that they could reach academic success -- but instead it has been turned into an absolute, inescapable benchmark, a brand on the forehead of competence or incompetence in cultures that do not believe in malleable intelligence. In cultures without that belief, the diagnosis becomes destiny: students are tracked by their IQ test results, those with poor scores are written off. In practice, Gardner's theory also suffers from an effective pigeon-holing of students. It may not be as definitive as Binet's IQ numbers, but it seems that in many classrooms the idea of "multiple intelligences" is used to excuse not trying to improve weaknesses, instead of as a way to maximize student engagement and understanding. Learning styles is another concept that is often discussed by homeschoolers and classroom teachers. While most parents would have an easy time categorizing their children as visual, auditory, or kinesthetic learners, it's not something I've let dictate my homeschool curriculum decisions. As with the concepts of intelligences, I think it is as important to shore up weaknesses as teach to strengths. Helen and Anna's preferred styles are evident in what they do outside of school time, but I'm not one to spend hours planning out projects to cater to those styles � they'll take care of that. One sculpts and whittles and climbs mountains at a run. The other writes stories, and paces back and forth while chewing over plot lines and math problems. They both take in information by reading, by listening, and by hands-on experiments. This may not have been their "preferred" natural style, but both have learned to work in all domains. The notion that a pupil tends to learn better by favoring a particular form of sensory input -- a "visual learner" as opposed to one who listens better -- has not received much validation in actual studies. For this and other myths, public perceptions appear to have outstripped the science. A teacher who can present information in different ways can reach many students. It may not be because she is successfully teaching to different intelligences or learning styles, but rather because the third or fourth time around the rest of the students get it. I find when trying to learn something myself, three is a magic number -- the first time I hear a term (like "asthenosphere" when studying Earth Sciences), it is shocking and foreign, and makes me miss out on the next five minutes of the lecture, because my brain is trying to come to grips with asthenosphere. The next time I hear it, I still don't know what it means, even though I looked it up after the last lecture, but it troubles me less: oh, yes, asthenosphere, better look that up again after the lecture. The third time I hear it, provided I did actually go look it up again in the meantime, I know it, and my mind processes it effortlessly. In my own case, I think the style I worked with last would be the one that seemed to help me learn, even though it was simply third time lucky. In addition, most learning styles discussions refer to the three types visual, auditory, kinesthetic, but in my case and many others', this triumvirate leaves out the most important part of learning, which is writing down ideas, thinking about them, and discussing them. I have good guesses as to how Helen and Anna would be labeled if they were in a "learning styles" classroom, but they both respond extremely well to straight-forward, academic instruction, as long as they have enough breaks. Time out to move and think is usually missing from bricks and mortar schools, but can be enormously helpful in processing ideas. Anna usually goes for a brisk walk around every twenty minutes. Yes, Anna has a harder time sitting still, but that doesn't mean that she would learn better by acting in a play about Ancient Egypt, than she would be reading and writing about it. The fastest way to learn about history is to study history. The fastest way to learn about math is to do math. The fastest way to learn about reading literature is to read literature and write about it, not make a diorama out of pasta in a shoebox. When I was given this particular assignment at age eleven, I remember thinking I could have read an entire novel in the time it took me to make the diorama. If your goal for homeschooling is to combine efficiency, hard work, and academic focus, there will be plenty of time for your children to make dioramas in their own time. And often, the school-thinking will persist into this play time. A couple of years ago, Anna spent an afternoon with a seven-year-old boy and about 100 small plastic animals. Anna explained the plot to us at great length later that evening, including the feudal structure of the animals' society. They were taking what they'd learned in history and applied it to the society they'd created. I am sure that helped cement their historical knowledge, but I suspect it worked even better for being student-instigated, rather than an assigned project. This is an area where I think unschoolers are absolutely right. While I'm not comfortable with a child-led curriculum, I firmly believe that students teach themselves an enormous amount when they're left alone. One of my main aims for our school is to craft a schedule that will push my children to study all subject areas in the minimum time possible in order to allow them space and time for discovery. 1. Discussed in Carol Dweck. Mindset: The New Psychology of Success. New York: Ballantine Books, 2008, Daniel T. Willingham. Why Don't Students Like School? A Cognitive Scientist Answers Questions About How the Mind Works and What it Means for the Classroom. San Francisco: Jossey-Bass/John Wiley & Sons, 2009, and summarized in Po Bronson and Ashley Merryman, NurtureShock: New Thinking About Children, 2nd Edition, New York: Twelve, 2011. 2. K. Anders Ericsson, Ralf Th. Krampe and Clemens Tesch-Romer. "The Role of Deliberate Practice in the Acquisition of Expert Performance." Psychological Review. Vol. 100. No. 3, pp 363-406. 1993 discussed in Daniel T. Willingham. Why Don't Students Like School? A Cognitive Scientist Answers Questions About How the Mind Works and What it Means for the Classroom. San Francisco: Jossey-Bass/John Wiley & Sons, 2009, 106. 3. Daniel T. Willingham. Why Don't Students Like School? A Cognitive Scientist Answers Questions About How the Mind Works and What it Means for the Classroom. San Francisco: Jossey-Bass/John Wiley & Sons, 2009, 131. 4. Daniel T. Willingham. Why Don't Students Like School? A Cognitive Scientist Answers Questions About How the Mind Works and What it Means for the Classroom. San Francisco: Jossey-Bass/John Wiley & Sons, 2009, 131. 5. Praise is further discussed in Po Bronson and Ashley Merryman. "The Inverse Power of Praise." NurtureShock: New Thinking About Children, 2nd Edition. New York: Twelve, 2011. Chapter one. 6. Doug Lemov. Teach Like a Champion: 49 Techniques that Put Students on the Path to College. San Francisco, CA: Jossey-Bass, 2010. Kindle location 4182. 7. Carol Dweck. Mindset: The New Psychology of Success. New York: Ballantine Books, 2008. [Kindle Edition]; location 1205. Also discussed in Po Bronson and Ashley Merryman, NurtureShock: New Thinking About Children, 2nd Edition, New York: Twelve, 2011. p. 14. 8. Carol Dweck. Mindset: The New Psychology of Success. New York: Ballantine Books, 2008. [Kindle Edition]; location 934. 9. Carol Dweck. Mindset: The New Psychology of Success. New York: Ballantine Books, 2008. [Kindle Edition]; location 676. 10. Salman Khan. The One World Schoolhouse: Education Reimagined. New York: Twelve, 2012. p 20. 11. E.D. Hirsch, Jr. "Building Knowledge: The Case for Bringing Content into the Language Arts Block and for a Knowledge-Rich Curriculum Core for all Children." American Educator http://www.aft.org/newspubs/periodicals/ae/spring2006/hirsch.cfm [retrieved 14 January 2013]. 12. Howard Gardner. The Unschooled Mind: How Children Think & How Schools Should Teach. New York: Basic Books (Harper Collins), 1991. passim. 14. Daniel T. Willingham. Why Don't Students Like School? A Cognitive Scientist Answers Questions About How the Mind Works and What it Means for the Classroom. San Francisco: Jossey-Bass/John Wiley & Sons, 2009. p. 89. 15. Gary Stix. "How to Build a Better Learner: Brain studies suggest new ways to improve reading, writing and arithmetic and even social skills." Scientific American, August 2011, 56. 16. Daniel T. Willingham. Why Don't Students Like School? A Cognitive Scientist Answers Questions About How the Mind Works and What it Means for the Classroom. San Francisco: Jossey-Bass/John Wiley & Sons, 2009. p. 125. 18. Howard Gardner. "In a Nutshell." MultipleIntelligencesOasis.org. 2013. [http://multipleintelligencesoasis.org/wp-content/uploads/2013/06/in-a-nutshell-minh.pdf retrieved 19 Nov 2015], p. 28. 19. Howard Gardner. The Unschooled Mind: How Children Think & How Schools Should Teach. New York: Basic Books (Harper Collins), 1991. p. 207. 20. Carol Dweck. Mindset: The New Psychology of Success. New York: Ballantine Books, 2008. [Kindle Edition]; location 135. 21. Gary Stix. "How to Build a Better Learner: Brain studies suggest new ways to improve reading, writing and arithmetic and even social skills." Scientific American, August 2011, 55. 22. Stephen A. Stahl. "Different Strokes for Different Folks? A Critique of Learning Styles." American Educator. Fall 1999, p. 3. 23. Phil Revell. "Each to their own: The government espouses the theory of learning styles with scant regard to the evidence." The Guardian, 31 May 2005 [retrieved 9 January 2013].